Carpet has long been one of the most popular types of flooring in Indianapolis. It's affordable and practical as a floor covering. And it comes in so many different colors and styles that every homeowner can find a carpet that's just right for them. Carpet comes in so many different styles that it can be overwhelming when you start shopping. Each style has its pros and cons and you should start by talking to an experienced sales person so they can point you in the right direction. You can also do some prep ahead of time - learning some key characteristics of different types of carpet. Here at Kermans, we talk to people about carpet every day. What styles are most popular with today's homeowners and why? The workhorse of the carpet family, cut pile carpet is what most people picture when they think of wall to wall carpets. Level cut pile is probably the most popular of this style. It’s durable because of the type of fiber used, the density of the tufts and the amount of twist in the yarn. The more tightly the yarn is twisted the better it will hold its shape. Where is cut pile carpet a good fit? All woven carpets are constructed with a loop pile surface to start. Cut pile - as the name implies - cuts those loops. 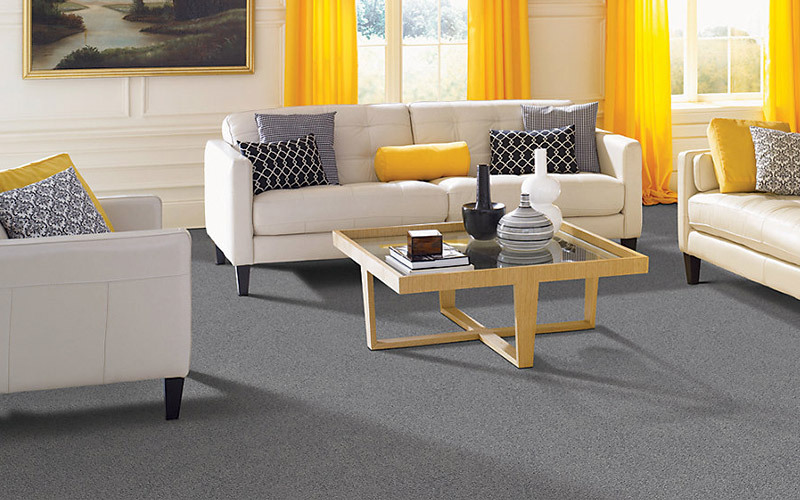 Loop style carpets leave the loops uncut for a continuous surface that resists crushing and matting. Full looped carpet - such as Berber - doesn't show footprints or dirt as easily as other carpets. If made with very thick yarn, level loop carpets can fill stiff underfoot. Many homeowners looking for a very durable carpet opt for a cut and loop carpet which has a mix of both types of fibers. There are a variety of loop styles to consider. Each feels slightly different underfoot and brings its own style to your room. Where is loop pile carpet a good fit? Cut and loop carpets can also create some beautiful patterns to add a bit more design to your space. Carpets in this style add texture to a room which is a big design trend. They are also often available in multi-colored yarns which let you bring in different colors to play up in your home design. Want to see more carpet design trends? Check out our Houzz Project Boards for design tips and trends.